Barbarism has provoked the spirit of class struggle. As divisions intensify, new unions are forming, and established ones are electing fresh leadership and dusting off their old, insurgent weapon: the strike. Campaigns for universal social reforms, for housing, college, and universal health care, are building strength nationwide. Political dynasties across the world appear to crumble in the face of a new populism, a madman rules, and socialists win electoral victories that haven’t been imagined in generations. In anticipating the emancipatory movements and the climate crisis to come, what role is there for what Freud called the soft voice of reason? 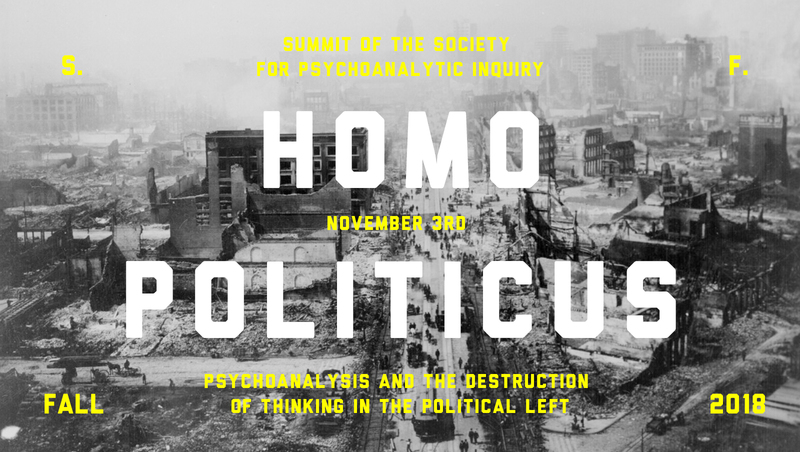 The upcoming fall summit will explore the relation of critical thinking, politics, and psychoanalysis. We’ll review classic texts by radical psychiatrists Frantz Fanon, Joel Kovel, and Enrique Pichon-Rivière; discuss politics and psychoanalysis in the community with Bart Magee, founder of Access Institute, and other practicing therapists; turn the clinical case conference on its head; and hear the latest in psycho-politics from Damage Magazine. Coffee, bagels, ideas, and lunch will be provided.